12 Mercedes MLs and 3 Audi A6s were used (and wrecked) for the car chase. Errors made by characters (possibly deliberate errors by the filmmakers): Malunaï says after half of the film she even doesn't know his last name. Strange, as when Largo was interrogated in her presence, he was clearly called mister Winch. 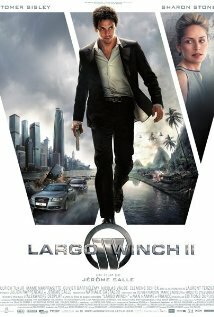 Having watched the first Largo Winch movie just a few days earlier, I was excited to view the sequel and it definitely delivered on many levels. 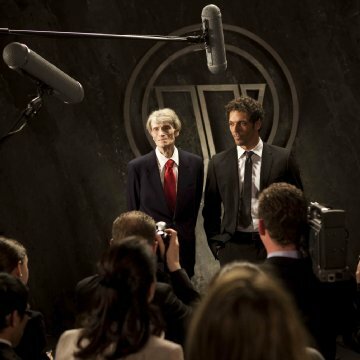 The acting by Tomer Sisley as the unwilling billionaire heir Largo Winch is by far stronger than in the original movie, and the other main characters such as the Burman villager Malunai and Alexandre Jung (played by the now late Laurent Terzieff) contributed to the storyline in an endearing and believable way. 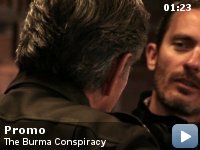 The Burma Conspiracy contains most of the elements of a great action movie. Strong acting, colourful characters and as an extra bonus we're also introduced to a comical Eastern European villain. The have upped the pace significantly relative to the first Largo Winch flick, and added a few fairly violent action scenes but nothing that detracts the attention from the main plot in a negative way. The movie takes the viewer on a tour of some exciting locations such as Thailand, Burma, Hong Kong and Switzerland and the scenery is indeed eye-catching even for the most seasoned traveller. Hollywood Reporter gave this movie an unfair bashing in their recent review. For any honest fan of action movies, The Burma Conspiracy is certainly one not to be missed and most definitely places itself in the upper echelons of releases in this genre to have hit the cinema in the last few years. It is indeed quite a shame that cinema distribution outside the Francophone countries has been fairly limited.